Spring invites people to take a nice stroll in breeze. Walking the city streets, visitors bump into historic places nestled alongside skyscrapers and modern buildings. Designated as the capital of Korea during the 1392-1910 Joseon Kingdom, Seoul has many old streets and alleys that still hold the secrets of the 600-year-old capital. They serve as a great portal inviting visitors back to Joseon Seoul. 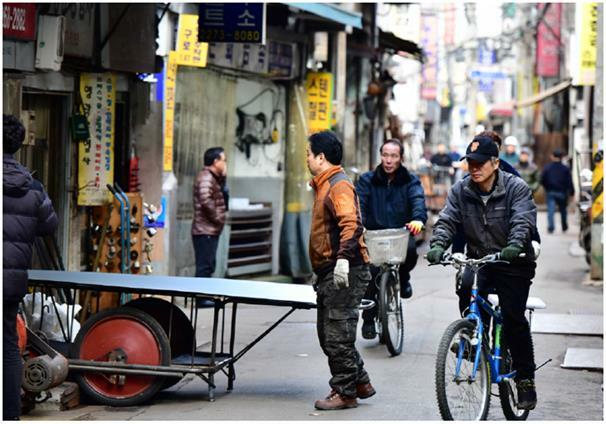 The Seoul Metropolitan Government recently announced it found 620 old streets that retain their original course dating back to the Joseon era. Most of the city's street grid, which had not changed much until the early 20th century, has seen drastic changes after going through the 1910-45 Japanese occupation and the 1950-53 Korean War, as well as rapid industrialization and urbanization over the past century. The capital moved here in 1394 after the dawn of Joseon, and Gyeongbok Palace was built the following year. Much of the palace was destroyed during the Japanese occupation, and rebuilding continues. Those streets preserved nearly intact offer invaluable assets and provide a glimpse of the people and culture of Joseon. "You may be surprised to know you have so many streets near you that date back to Joseon," a city government official said. 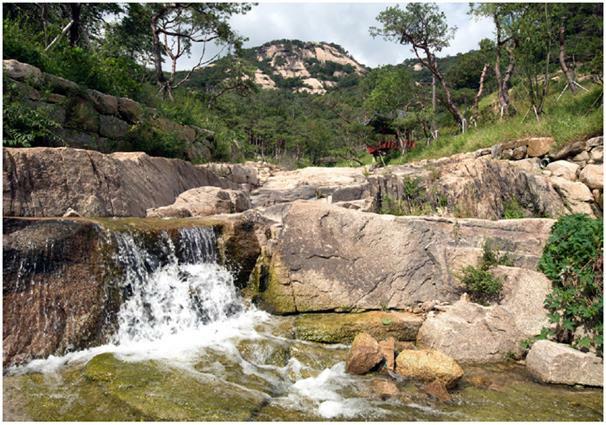 "Seoul's old roads developed along streams that joined and ran to Cheonggye Stream. The streets were formed after covering over the streams, resulting in winding paths. Following those winding roads, you can time travel back to Joseon." After two years of research, comparing "The Great Map of Seoul" drawn in the 18th century and a 2016 modern map, the city revealed 620 streets that can bring people closer to the Joseon era. Among those, the city picked the 12 best ones to visit. "The 12 places are like recommended walking courses developed for those who want to trace Seoul's history. The street courses include parts of intact old streets and others nearby. Although the surroundings might have changed a lot, those old roads stand still, telling history itself," the official said. Ongnyudongcheon-gil seated at the foot of Inwang Mountain has been famous for its scenic views, which attracted many Joeseon scholars. The street runs through an area called Seochon, which translates as "west village" as it is west of Gyeongbok Palace. The area lined with old hanok houses and shops is one of the oldest neighborhoods within the city walls of Seoul. In modern-day Korea, many renowned artists such as poets Yun Dong-ju and No Cheon-myeong, poet-novelist Lee Sang, and painters Park No-su and Lee Sang-beom have also lived in the neighborhood. Samcheongdongcheon-gil and Angukdongcheon-gil, also famous for their scenery, ran through the residential quarter of high-ranking government officials and nobility which was the center of Joseon culture and art. Jesaengdongcheon-gil, running through Bukchon Hanok Village, is where Jesaengwon, a health care center for commoners, used to be. Bukchon translates to "north village" as it is located north of Cheonggye Stream, which once divided traditional Seoul right through the middle, just as the Han River does now. It is a favorite tourist destination as it has beautiful hanok houses, small alleys and Choong Ang High School, founded in 1908 by patriots at the end of the Korean Empire, March 1 Memorial Hall to commemorate the pro-independence movement during the Japanese occupation and also known as the filming sites for hit dramas "Winter Sonata" and "Guardian: The Lonely and Great God." Bukyeongcheon-gil is where Joseon's capital defense command center was, running along the western wall of Changdeok Palace. Heungdeokdongcheon-gil, near Sungkyunkwan University, is where Sungkyunkwan, the highest education institution of Joseon, stands. If the north above Cheonggye Stream was for the nobles, the south stretching down to Mount Nam, was a residential area for low-level civil servants and military officers. Prior to 1910, the Japanese built up some of this area as they made inroads into the country, which now include the bustling city streets of Myeong-dong. The famous Jeongdong-gil was the original location of the royal tomb of Queen Sindeok, wife of Joseon founder King Taejo. The tomb was relocated to its current location outside the city walls. In the late 19th century, Western forces entered the area and began building diplomatic, educational and religious facilities there according to Western ways. Namsandongcheon-gil was a large Japanese residential area during the occupation, later developing into a shopping district, while the birthplace of Yi Sun-Shin, the famed naval admiral of the 1592-98 Imjin War, was located by Pildongcheon-gil near modern-day Namsangol Hanok Village. Muksadongcheon-gil near Mukdong and Jingogae-gil near the Sejong Hotel have many printing companies. Under Japanese rule, the area had many theaters, and printing companies prospered there printing movie leaflets. Gurigae-gil, once stretching from modern-day Eulji-ro to Gwanghwamun, was home to the Joseon medical authority. Many traditional Korean clinics and medicine stores prospered here, making it a big medicine cluster. More recently, steel parts manufacturers took the place of the clinics. But the alleys near Bangsan Market, a wholesale market that sells packaging and promotional materials, are particularly well-preserved.